An infographic depicting habits of some of the world’s wealthiest people. The world’s richest people come from a variety of backgrounds. There are, however certain traits that are common amongst them. *Based on Thomas C. Corley’s study of the daily habits of 233 wealthy and 128 poos people. Who doesn’t enjoy pasta? 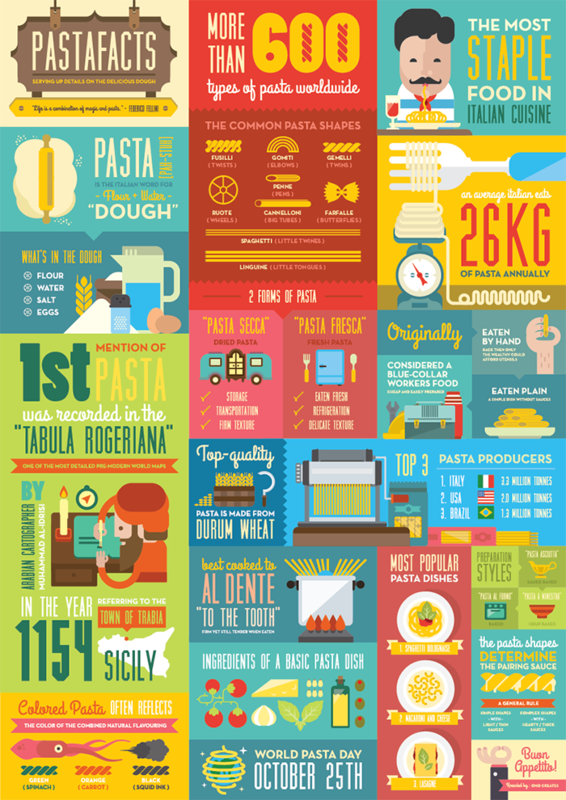 ONO Creates, out of Singapore, created this infographic with fun facts and delicious details about pasta. Check out ONO Creates’ Pasta Facts on Behance. Follow them on Facebook, Twitter, or Instagram.